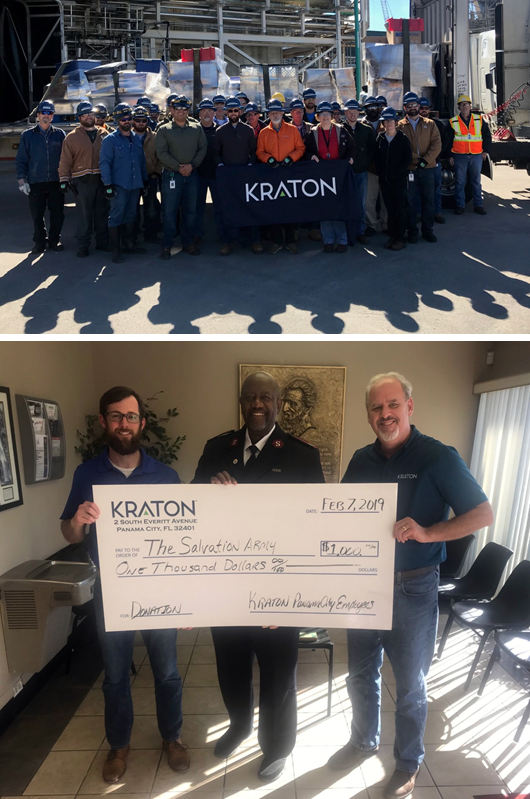 Since 2005, WJW Associates, LTD has been a partner with Kraton Chemical Corp by providing transportation and warehousing services pick and delivery services between the Panama City Plant and Pensacola Plant going to and from the Marianna, FL Distribution Center. The following is a press announcement from Kraton regarding their efforts to assist the local community of Panama City which was devastated after Hurricane Michael. Members of the community are still without shelter and the basic necessities in many parts of the pan handle as a result of this devastating storm. WJW was proud to assist in these efforts. As you know, October 10, 2018, Panama City, FL was hit hard by Hurricane Michael, the third-most intense Atlantic hurricane to make landfall in the U.S. In two hours, this hurricane devastated Panama City. Since that time the Panama City Plant has received all kinds of donations from several Kraton locations. We are very happy to share that our employee’s needs have been met. Unfortunately, many people in the Panama City area are not as fortunate, and basic needs are still going unmet. Our local leaders made a decision that we wanted to help those in our community who are still in need. On January 25, 2019 our Panama City employees donated 10 pallets of life saving materials to the Panama City Salvation Army. Our partners at WJW Associates agreed to deliver the items, as a show of their support. In addition to the donation, our PC employees raised $1,000 through raffles which was also presented to the Salvation Army. Pictured are many of the employees along with our partner Don Williams from WJW Associates, who delivered the donated products. Pictured are Plant Manager Mason Faggert (L) and HR Business Partner, Pete Stanton (R) presenting the check to Major Otis Childs of the Salvation Army. WJW will miss you, Lorrie. WJW is extremely sad to announce the loss of Lorrie Chauncey after her struggle with a rare stomach cancer. Lorrie never stopped being the graceful, humorous and loving lady we have all known. She brought joy to customers and fellow employees alike and never met a person that would not be a friend. Lorrie was never one to seek the spotlight, yet she was known by everyone that came into contact with the WJW office...and she was universally liked by all. She is no longer in pain, but leaves a grieving set of friends and family that will reunite with her again in heaven. RIP, Lorrie...you are loved and missed! As anyone involved in the transportation industry is aware, drivers are definitely hard to find. At WJW, we decided the best way to attract the best drivers is to let them have a path to being a business owner themselves. Starting June 1, WJW is going to offer a limited number of lease to own tractors for those interested in joining the fleet in the Statesville, NC area. If the initiative proves successful, it will be quickly expanded to help those drivers that want to own their own tractor in greater numbers. We know that at times, people have issues that affect their credit. For that reason, we are offering to help drivers get the credit they need to finance the purchase of one of our tractors in Statesville, NC via our lease program. Interested personnel should contact Corie Ho at 904.781.5600 or via email at cho@wjwltd.com. WJW is proud to announce that it has entered the North Carolina market by way of an asset purchase of Grady W. Shives Trucking, Inc, on 1 April 2017. Shives is located in Statesville, NC, approximately 45 minutes north of Charlotte on I77. WJW IS NOW IN NORTH CAROLINA! WJW is excited to announce the purchase of Grady W. Shives Trucking, Inc in Statesville, NC. The deal was finalized on 31 March with an effective date of 1 April 2017. WJW had been in discussion with Shives for the past 8 months and signed a purchase agreement in January. The 1 April date, no jokes regarding April Fool’s please, was the culmination of work between Shives and WJW. 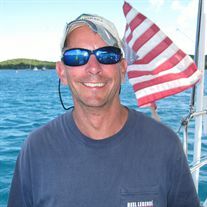 WJW is pleased that Wayne Shives, the previous owner, will be working as a consultant to assist WJW in the new market. Shives has been in the NC market since 1966 and has the same standards of integrity and service that helped to make WJW so successful the past 38 years. The new terminal is filled with wonderful professionals that complement WJW and WJW hopes to provide more opportunities for them to grow and prosper. In December of 2015, the Federal Motor Carrier Safety Administration announced the ELD Mandate. This mandate affects nearly all commercial drivers who are currently required to maintain records of duty status (RODS). Drivers will now be required to use an electronic logging device (ELD) by December 2017. ELD? Hindrance or Way of the Future? An ELD is an electronic logging device that will replace the paper logbook that most drivers now use and will electronically record their Hours of Service (HOS). 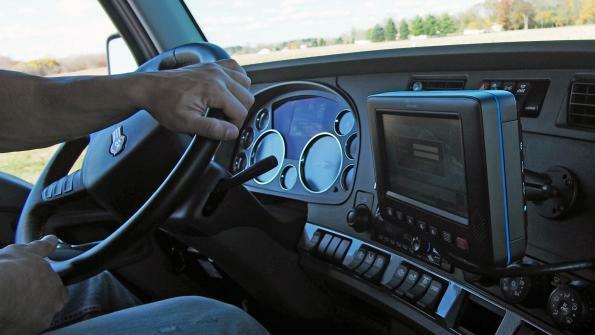 There has been a lot of chatter about whether or not ELD’s are the way of the future or a hindrance. Let’s take a look at some of the benefits. Saves a driver 20-40 minutes a day adding up to 50 hours a year by not filling out paperwork and sending it in. They electronically track a driver’s Hours of Service (HOS). Inspections will be quicker. How you ask? With an ELD it will be quicker for officers to see the results. No more flipping through paper logs. Most ELD systems have route and map integration. This will help the driver see where there are high traffic areas, construction, road closures, etc. and navigate around them. ELDs will issue warnings to the driver when time sensitive events are coming up, helping them to remain HOS complaint. ELDs also record critical events. If an accident takes places, the ELD records the behavior of the driver and truck before, during, and after the accident. ELDs help with roadside assistance. Broken down? Lost? With an ELD, a dispatcher will be able to direct help your way quicker than before by quickly identifying your location. Drivers would be able to use smartphones, rugged handhelds, and tablets as long as their system meets the ELD requirements. This does include a hardwired connection to the trucks engine. Starting not to sound so bad is it? Now that you are seeing the benefits of the ELDs, you are probably wondering where you can buy yours. There are many companies who are manufacturing ELD’s but before purchasing, it is important to make sure that your ELD meets all FMCSA requirements. Connect to the trucks engine. Your ELD has to record when the truck is in motion and the only way to do that is to have it connect to the engine itself. Allow you, the driver, to log in. You must be able to select On-Duty, Off-Duty, or On-Duty Not Driving. Display a record of duty status. It must graphically show a driver hours in a day. Provide data in a standardized format that is easy to transmit to law enforcement. Either by wireless web services, Bluetooth, or a USB. Meet the proper specifications and is provider certified. Now, let’s take a look at a few companies who are manufacturing ELDs. The first company we are going to look at is for the driver who is looking for something that is simple and affordable. Continental Corps VDO Roadlog has no monthly fees, has a built in thermal printer, does not require a tablet or cellphone, and automatically deletes records when they are no longer needed. Next, we have eDriver Logs by PeopleNet. eDriver Logs gives you the ability to use an Android tablet, a smartphone, or a fixed mount display. eDriver Logs gives you an easy to read grid that displays driver log information, HOS, and more. While in Smart mode the computer can detect movement and stops and will switch between On-Duty, and driving statuses so that the driver can just focus on driving. Stay HOS compliant by receiving system alerts if a HOS violation is imminent. You can also view multiple reports such as: the miles traveled, off duty, sleeper berth, driving on-duty, and many more. Rand McNally is another company who has manufactured an ELD device that makes it easier for drivers to comply with the mandate. The ELD 50 is a device that is designed to connect with an Android smartphone or tablet. It plugs into the trucks diagnostic port and sends the drivers HOS data to a free mobile app using a Bluetooth connection. And lastly, you might want to look at J.J. Keller. Depending on the edition you choose, you will get an array of functions. You can go with the simple edition that just helps you meet compliance, all the way to the premium edition that features automated fuel tax reports, fuel use tracking, driver performance and more. 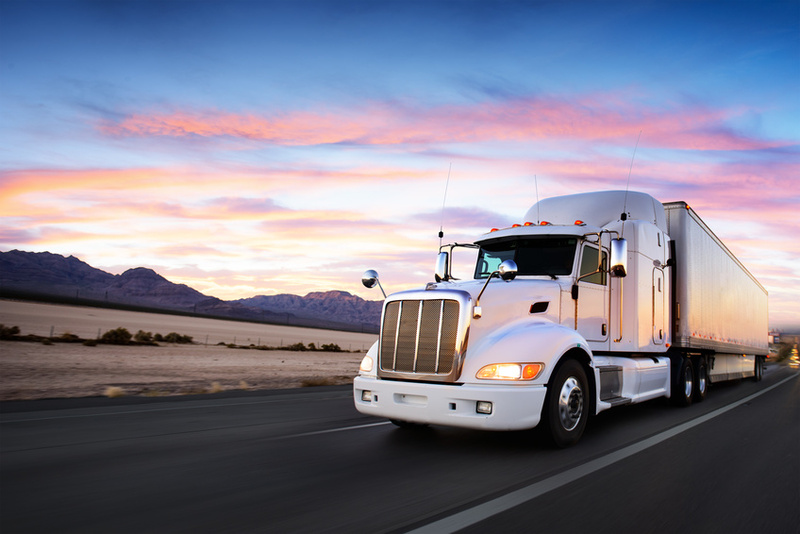 Whether you are looking for something that is affordable and will just help you meet compliance, or if you are looking for an ELD that has all the bells and whistles, you are sure to find one with the right research. One thing is for certain, the ELD Mandate will be in effect by December 2017. Buy your ELD early, and be able to learn and adapt to it at your own pace? Start today by reading Planning a Successful Electronic Logging Device Implementation. This should go without saying, but all too often, those in sales positions will try to communicate with a potential lead on a level that is much too familiar. Of course, you want to have a nice rapport with your clients, but when you act like you’re old friends when you’ve never spoken before, this tactic can often backfire. If you’ve worked with a client in the past and have connected on a personal level, it’s fine to inquire briefly about certain matters, but trying to force a connection on someone is never a pleasant experience for the person on the other end of the line. Those who are hired for and find success in transportation sales jobs soon discover that the best policy is to be polite and professional at all times. Business calls are just that: business. Although charm can be an asset in a sales position, be sure to always remain polished and proficient. Don’t try to mask the reason you’re calling with general questions or by avoiding direct answers. From the start of the call, you should introduce yourself as a transportation broker or salesperson, say where you’re calling from, and state your business in a straightforward way. Again, charm can be helpful, but more often the caller will respect you for being direct about your reason for calling. If they don’t require the services of a transportation brokerage company, you will save both yourself and the caller a lot of time and frustration by thanking them for their consideration, ending the call in a pleasant way, and moving on to another viable lead. But remember: just because you need to be direct and professional doesn’t mean you can’t bring your personality to your pitches. All 3PL sales jobs require superior communication skills, a persuasive nature, a go-getter attitude, and great instincts about other people. If you sound like you’re reading from a script, your lead will probably tune out. For all types of 3PL sales jobs, you’ll benefit from tweaking and tailoring your pitch to fit your potential client’s needs. It can be a fine line to walk between charming and smarmy, and the most skilled transportation brokers and salespeople know that the key lies in honesty and aptly changing your tactic from lead to lead. A third-party logistics sales position can be demanding and complex, but it can also be incredibly rewarding. The Department of Labor estimates that truck drivers will account for 43% of the growth in logistics jobs in the years to come, and this massive industry remains as important as ever to the American way of life. If you’re a dedicated employee who enjoys connecting with people in a challenging way, contact us today to learn more about available 3PL sales positions. Using a transportation broker company gives you access to some of the best deals. 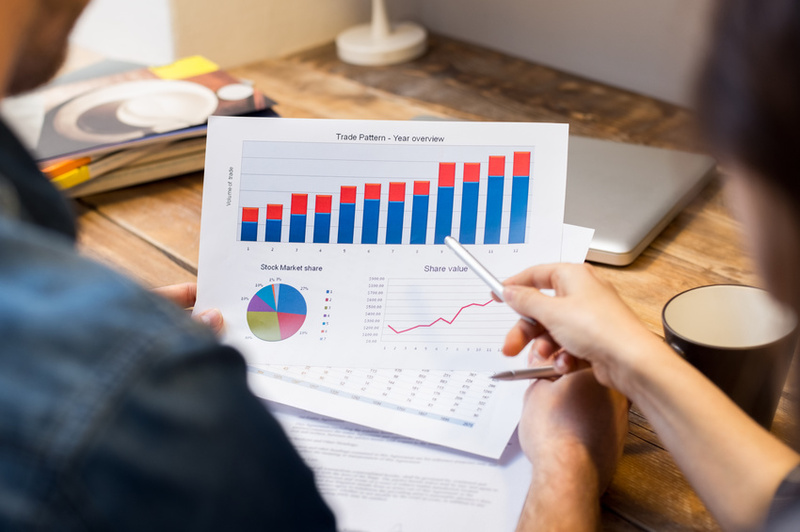 Our connections allow us to find the best match for your organization’s needs, which allows you to obtain fast, reliable service for the lowest possible cost. When you allow us to handle all the legwork, you’re able to focus on the core parts of your business. Our vast experience means that we know the ins and outs of the industry so you don’t have to worry about negotiating a deal or contacting companies yourself. You’ll have access to the companies with whom we’ve developed relationships, but will be able to dedicate your time and efforts to where they’re needed most. Our dedicated team is there to make sure your shipments are delivered quickly and accurately. We treat both carriers and drivers with respect, and we ensure all safety measures are followed. Since most drivers are required to drive around 2,500 miles per week, or about 500 miles a day, we take great pains to make certain that carriers abide by all safety regulations and drivers follow all truck driver requirements to keep everyone safe during transport. We will treat you with courtesy and respect, and we aim to make sure you are satisfied with the service you receive. Finding an experienced transportation broker company can be vital to your organization’s success. Let us be your go-between for all of your transportation brokerage needs. While there are pros and cons to every kind of job, the benefits of becoming a truck driver are hard to deny. From the freedom of the open road to the security of a long career, truck driving jobs have a lot to offer independent-minded Americans. So whether you’re looking for your first career job or a new road in life, here are the top four benefits of becoming a truck driver to keep in mind. Good Pay and Steady WorkMany professional truck driving jobs offer a handsome salary from the very moment you start, with wage increases the longer you drive. Additionally, there’s little fear that truck driver jobs will be disappearing any time soon. In fact, the U.S. Department of Labor anticipates that trucking will make up 43% of the growth in logistics jobs over the next few years, and employment of heavy- and tractor-trailer drivers is expected to increase another 5% by 2024. Quick, Inexpensive TrainingWhile you do need a CDL license to become a truck driver, the courses and training you need take only weeks or months instead of years. 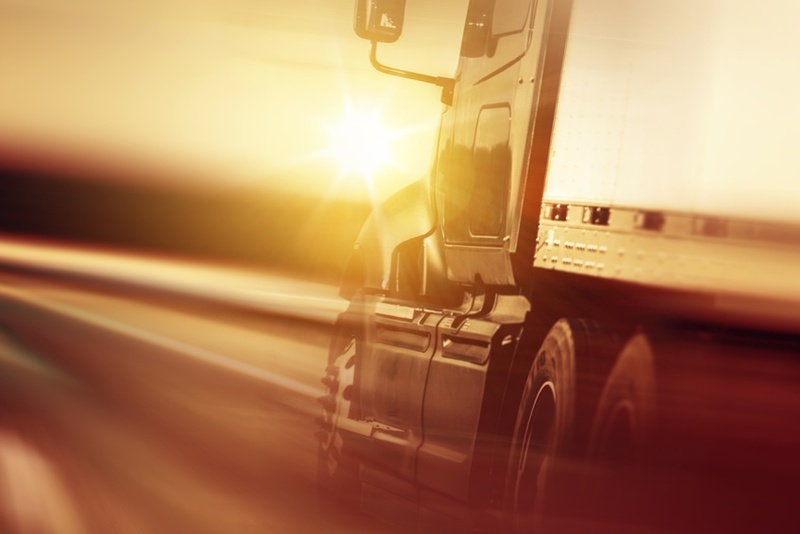 This reduces the initial costs of getting your foot in the door, and many education companies may even be able to connect you with trucking companies looking for new drivers. Be Your Own BossWhile drivers still have a dispatcher to answer to and goods for which they’re responsible, one of the greatest benefits of becoming a truck driver is the ability to make your own schedule, plan your own routes, and work your own way. Driving enables a lot of autonomy and freedom to do things as you see fit. See the CountryOf course, one of the main things that attracts people to trucking is the chance to explore the open road and see the landscape from coast to coast. Most drivers are expected to cover about 500 miles a day, 2,500 miles a week, and 125,000 miles per year, which allows you to see a lot more of the greatest country on earth. For those who like to stick closer to home, though, there are still regional trucking jobs that can keep you near your family. Still wondering how to become a truck driver? Find a local company or training school to learn more about what might lie on the road ahead for a career in trucking. If you have any questions, or if you’re looking for a dedicated trucking job, contact WJW today. The fact is that dedicated truckers practically run this country. Chances are something that you are using today was delivered by a truck (or, more likely, about a hundred things). The American economy depends on trucks to deliver almost 70% of all freight in the country; that’s more than $670 billion worth of manufactured and retail goods. Demand for drivers is always increasing, with the employment of heavy and tractor-trailer drivers projected to grow 5% from 2014 to 2024. Truck driver jobs present a unique lifestyle and experience, and there are many types of transportation sales jobs to choose from as well. However, this form of transportation can be dangerous. Most people with truck driving jobs are expected to cover about 125,000 miles per year, breaking it down to about 500 miles a day. With that much ground to cover and time spent on the road, accidents are simply inevitable. That’s exactly why truckers, bus drivers, and anyone who sits behind the wheel of large vehicles are heavily regulated. If you work in the transportation industry, then you already know that we’re facing a major shortage of truck drivers, in large part because of these onerous regulations. Even so, the Department of Transportation has many standards in place to make operation safer and easier for everyone on the road, from other vehicles and passengers to the truck and bus drivers themselves. If you’re new to the world of transportation, then you’ll need to learn about one of the most important new rules in trucking: hours of service. In short, the DOT’s hours of service regulations are designed to keep those working dedicated trucking jobs from spending too many hours on the road in a single day. Can only drive for a total of 11 hours, and only after 10 consecutive off-duty hours. Cannot drive after more than 14 hours on-duty (including time spent in non-driving work). Must stop driving if more than eight hours have elapsed since last off-duty or sleeper berth break. Some exemptions exist for short-haul drivers. Drivers must adhere to the 60/70 rule, which stipulates that driving time is limited to 60 hours in the span of seven consecutive days, or 70 hours within eight consecutive days. Anyone who wants to pursue a career in trucking must know these DOT regulations (and there are many more, covering a wide range of conduct) in order to perform a true dedicated trucking job. If you are wondering how to become a truck driver, you can start by familiarizing yourself with these compliance regulations. Don’t wait to start your career, because there are dedicated trucking jobs to be had in every city in America. The transportation industry in the United States is a profitable one, and across the nation, the number of professional truck driving jobs are increasing. In fact, employment in the field is expected to grow as much as 5% by 2024. If you are currently searching for truck driving jobs, here’s what you can expect. Truck drivers don’t have set starting hours. For this reason, drivers have the ability to design their schedules to their liking. Some drivers start their day early and move with the light. On the other hand, other drivers prefer to travel through the night. Over an eight-day period, you may work as many as 70 hours. However, once you have reached 70 hours, you must take a full 34 hours off duty. The 70-hour limit could be met within a 14-hour day period. If you choose this method, you are not permitted to drive for more than 11 hours in a day. Your “Hours of Service” must end with a 10-hour break. Each year, most drivers are expected to cover 125,000 miles. That is equivalent to 2,500 miles a week, or 500 miles per day. Typically, compensation for drivers is calculated by the mile. Some companies pay their drivers hourly. The general rule of thumb is that delivery drivers only get paid when he or she is making a delivery. It is common for drivers to not know their salary until the end of a year. On average, a first-year driver earns about $35,000 per year, $45,000 their second, and $55,000 thereafter. If you decide to become a trainer, volunteer to haul oversize freight, or if you are paid by the load, your salary will increase. As a truck driver, you will perform one of two functions. These are either “drop and hooks” or live loading and unloading. Each can take two to three hours to complete. Truck drivers are not usually expected to unload any freight. They must, however, rely on various shipping and receiving departments to observe their strict schedule. Trucking companies, warehouses, and private sectors within the trucking industry employ around 8.9 million people. There are many benefits of becoming a truck driver many people do not know. Consider the above information and find truck driving jobs with WJW, a full service trucking company that takes pride in its drivers. Transporting more than $671 billion worth of manufactured and retail goods, it’s no wonder the trucking industry employs more than 8.9 million people across the United States. Most truck driver jobs require drivers to cover 125,000 miles per year, with random inspections along the way. 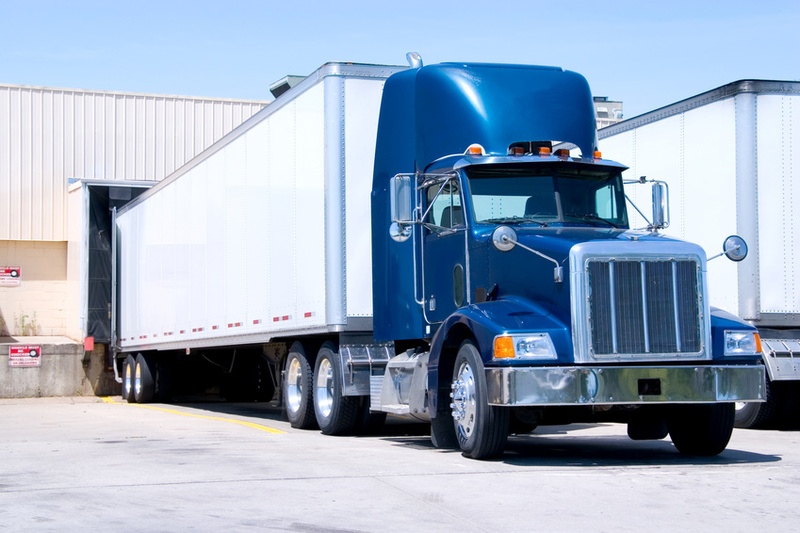 When these inspections happen, drivers must be aware of truck driver requirements to avoid violations and fines. 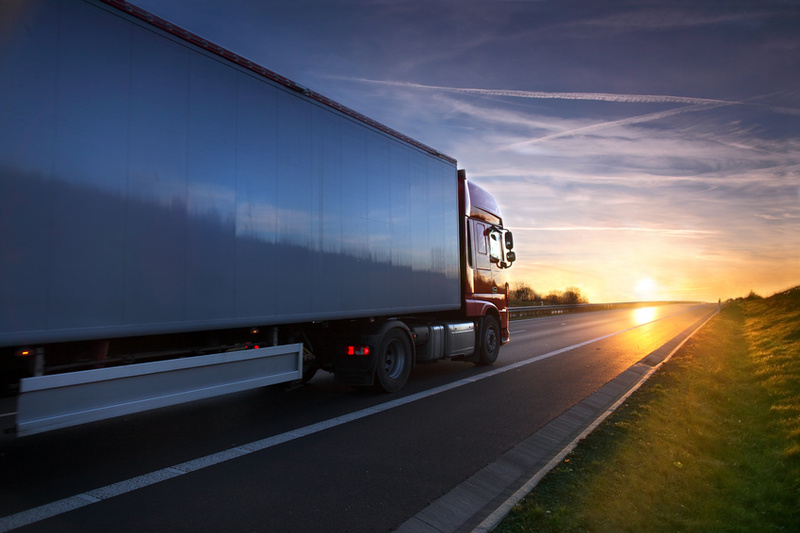 To help avoid some of the most common mistakes that lead to violations, here are some things all trucking companies should know. One of the most visible violations is broken lights. The punishment for such a violation is six severity points for each violation. In 2013, of the 2.4 million inspections performed, over a quarter — 28% — had violations involving lights or reflective materials. To prevent being cited for this violation, drivers should make sure to have extra bulbs and fuses with them. Checking the lights in between trips is also a good preventative measure. Another quarter of all vehicle infringement are for brakes, with more than one million brake infringement last year alone. As with lights, brakes should be examined before and after each trip. However, drivers should not perform any brake alteration unless fully trained to do so. To prevent this, ensure that all drivers recognize what to search for and when to get help with their brakes. The best way to discover a brake conformity issue is to precisely monitor the stroke. Similarly as with lights, worn tires are certain to get you pulled over and investigated. Tread depth is the most common reason. Generally speaking, 11% of vehicle violations are for tires; these have a consequence of eight severity points. 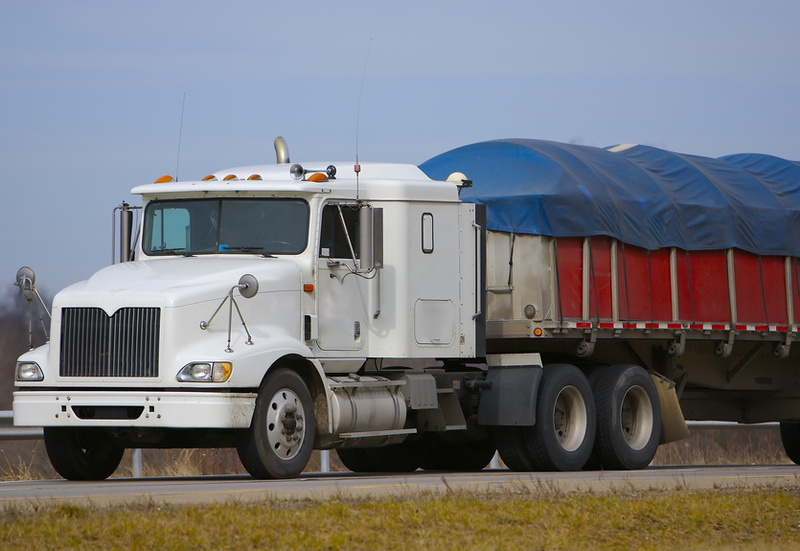 Full service trucking companies should have a maintenance program that incorporates standard tire assessments. This includes pre-trip and post-trip examinations. Drivers need to know how and when to check tire inflation and when it is time for replacement. The most common violations are “structure and way” and “log not momentum.” They make up one-fourth of all roadside violations, more than any other. A log that is not up-to-date is worth five points. Trucking companies must educate their drivers about log requirements and when they need to be filled out. In the event that a driver is stopped for inspection, their log must be current with when they began driving. Implement policies that strengthen these requirements so that employees comply. Whether you are researching how to become a truck driver or looking for trucking companies in Syracuse NY, knowing the above tips will help you become successful in the industry. 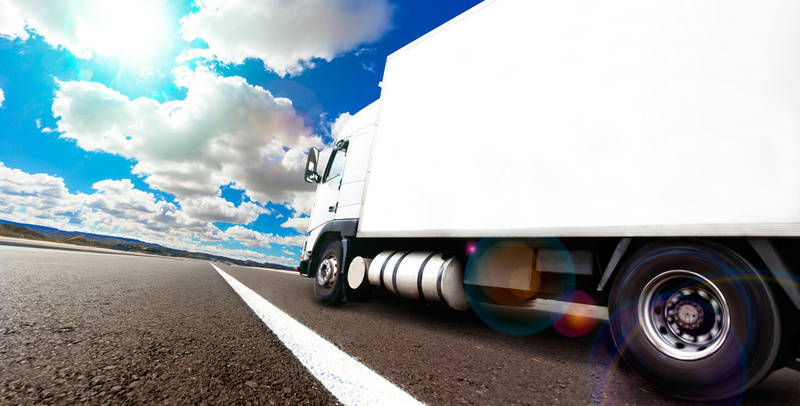 Too many violations can have negative effects on both a full service trucking company and its drivers. Protect your business and employees with comprehensive training and supplies. Remember, safety is the number one priority. When it comes to shipping, many people think they know what it takes to get the job done, but very few actually do. Using an estimated 53.9 billion gallons of fuel, trucking companies, warehouses, and private sectors employ around 8.9 million people in the United States. Of those employees, 3.5 million are truck drivers, and this number are expected to grow another 5% by 2024. For those who need help with LTL carrier definition and other benefits of LTL shipping, here are a few commonly asked questions to help you. What does LTL shipping mean? LTL is an acronym which stands for Less-Than-Truckload. This means that the shipment does not fill the entire truck. This type of shipment usually comes on various pallets and can range in weight from 150 lbs to 10,000 lbs. Anything larger than that is considered to be a Full truckload (FTL). What is a shipping pro number? PRO is an acronym that stands for progressive rotating order. It is a 10-digit tracking number that is assigned to each shipment. It also serves as an invoice number as well. Shipping terms are usually determined by three things: who arranges for transport and carrier, who pays for transport, and where and when ownership of goods transfers from seller to buyer. What is the basic procedure for shipping freight? The standard procedure for shipping freight involves the truck driver backing up to a loading dock. After the driver has parked, the shipper then loads the cargo. Once the truck has been loaded, the driver transports the cargo to the receivers (consignee) loading dock to be unloaded. In the case that additional services are required outside of the standard procedure, additional rates may be charged. What are some shipping terms I should know? Consignee: the person or company that will be receiving the shipment. Cosignor: the person or company that will be shipping the cargo. Carrier: another name for the truck or trucking company that transports the cargo. Shipping Bill of Lading (BOL): series of paperwork that informs the driver, carrier, shipper, and receiver with full details of the shipment and its billing information. Liftgate Service: A liftgate is a motorized platform affixed to the back of some trucks that raises and lowers cargo between the ground and the truck. When the shipping or receiving location does not have a loading dock, manual loading or unloading is necessary. Accessorial fees will apply for this service. If you are using this information on LTL carrier definition to find out how to become a truck driver, you’ve come to the right place. WJW will help you find the answers to any questions you may have. Contact us for LTL carrier definition information and other LTL services so that we can service you in the best way possible. It is hard to believe that is has been one year since Dave lost his battle with cancer. He was a leader and owner that we were proud to have known during his too brief time here on Earth. While Dave was here, he impacted all of us with his drive, caring and joy. As one of the best friends I have had, he was a great example of a loving and devoted husband, father, and friend. For those that have met Dave, they will forever remember him. He impacted each person in a unique way, but he always impacted them. As a great friend to many, he is missed for his willingness to lend a hand or an ear. If you needed help or advice, he was willing and able to provide both at any time. As a partner, Dianne and I will miss his insights and the dedication he brought to work every day. He was proud of WJW and of the people that make the company what it is. We know that Dave is now in heaven, watching over his sons, Scott and Kyle, and his lovely wife Janice. We all miss him and look forward to that day when we are reunited in heaven as a big, happy family that can laugh and love together again. The transportation industry is a very important part of the U.S. economy. In fact, the U.S. depends on truck driving jobs to deliver almost 70% of its freight. In 2006, the industry documented 432.9 billion miles in distanced traveled transporting freight. It is a growing industry as well. According to the Department of Labor, truck driver jobs are expected to increase by 43% in the coming years. Just as finding a long haul truck driver or transportation broker company is important, so is finding transportation sales jobs. If you’re looking for transportation sales jobs or want to become better at your job, consider these tips on how to become successful in the industry. Master your knowledge of the services offered. Learn everything there is to know about the services your company offers and how customers can benefit from it. Master your sales skills to sell these services. Invest in yourself by learning effective sales techniques to become a top seller in your company. Ask some of the top sales performers within your team and get tips on how they became successful. Understand what makes your services different from competitors.How does your company stand out? This is one thing prospective customers always like to know. Gain an understanding of customer needs through effective listening and by asking probing questions to solve their problems. Build a relationship and get to know prospective customers before they become actual customers. This will increase the chances of them returning for more services from your company and they may even ask for you personally to help them again. Be both persistent and consistent in your approach. Be passionate about the company and the services offered. Your customers will end up being just as enthusiastic as you are. Learn how to tell the difference between buyers and non-buyers and the signals they send. Continue learning about the services and gaining business knowledge to help you become better at selling. Ask for the sale in every situation. Asking could be the difference between getting the sale and not. Work with other sales professionals on your team to help reach your goals. Identify your strengths and weaknesses and turn the weaknesses into strengths. Now that you have an idea of how to become successful at transportation sales jobs, you simply need to apply these tips to your job or even in your interview for a prospective job. For a long haul truck driver driving for a full service trucking company, the ride can get boring very quickly. The transportation industry documented 432.9 billion miles in 2006, which translates to about 500 miles per day. A short haul truck driver will rarely have to deal with the struggle to stay awake during a delivery, but this is a reality most long haul truck drivers face each day. For those researching how to become a truck driver or tips for the 2 million tractor trailers driven by long haul truck drivers, you’ve come to the right place. Here a few tips for staying awake while on the road. Before you hit the road, take a 20-minute cat nap to give your body a boost for the long trip ahead. Studies show that sleeping for less than an hour gives your body the energy it needs to stay awake longer. Don’t resist your body’s natural urge to rest. Give in. Your body will thank you later. Although it’s very easy to find yourself in the drive-thru of your favorite fast food restaurant, go for the healthy alternative and avoid that stop altogether. The fat and sugar contained in most fast foods will increase your chances of becoming sleepy. Vitamins B and C are good for boosting energy. Take them with a healthy meal to reap the full benefits. Pull over if you get tired. When and if you feel yourself getting tired, pull over. Get out of the cab and stretch your legs to get your blood flowing again. Use the time to inspect your truck once again in addition to boosting your energy. If you’re listening to music, turn up the volume. Listen to music that will get your energized and sing along with it. It’s just you, so no need to be embarrassed, let loose. If music isn’t your thing, listen to an audio book. Keeping your mind engaged on the content will help you stay awake. Listening to someone else’s voice may also help you feel less lonely and that someone is in the cab with you. If there is a nice, crisp breeze outside, crack open the window. The cold air will give your body a temporary boost and keep you awake a little longer. Contrary to belief, drinking plenty of water will reduce your chances of fatigue. Though you may be making frequent breaks, dehydration causes fatigue and no one wants that. In addition to drinking water, try to avoid caffeine. It will wear off, leaving you even more tired and can cause you to stop for the restroom even more often than water. Now that you know the ways to keep yourself safe and awake as a long haul truck driver, you are ready to find truck driving jobs and hit the road. In the United States, there are trucks everywhere. You see them driving around all throughout town, on the expressways, and everywhere in between. It’s big business in America, and it always has been. Freight companies who ship by truck, and work out of warehouses and other storage facilities, employ nearly 9 million people. That’s almost 3% of our population constantly working to move our freight around. The reason we need so many helping hands is simple: the United States economy depends on trucks to deliver a just about three-fourths of our country’s freight. Accounting for about 70% of our shipping practices in total, over the road trucking hauls over $671 billion worth of retail manufactured goods in any given year. Any full-service trucking company, in many people’s imaginations, probably began to shrink in popularity as air travel and a “must have it now” attitude swept our marketplaces over the past decade or so. This couldn’t be any further from the truth! These companies are happily shipping more today than they ever have in the past. It’s also never been easier for customers and logistics professionals to find a truck to ship their cargo from point A to point B. Long haul truck drivers and short haul truck drivers alike have a lot of job security going for them right now. 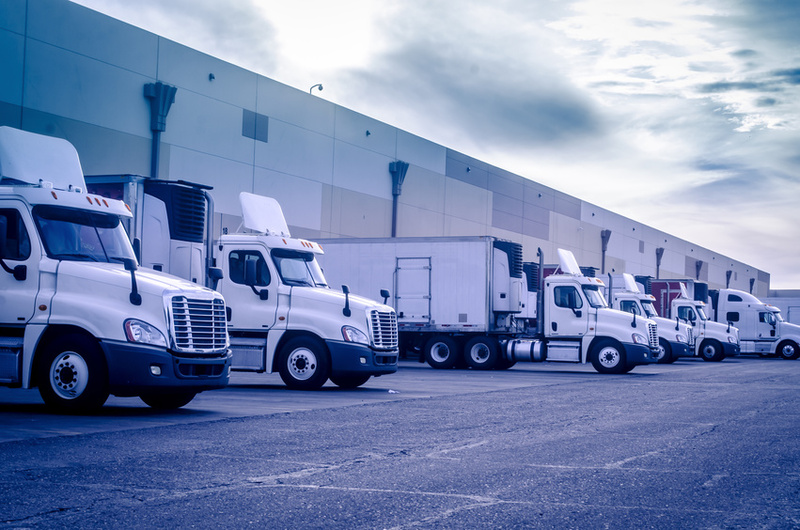 It’s expected by industry insiders who have thoroughly analyzed logistical trends in America over the past several years that it will only continue to grow. As the manufacturing industry and our demand for goods and services increases, so will the number of trucks on the road bringing them to our local retail outlets. That’s one of the chief benefits of becoming a truck driver. There is probably never going to be a shortage of freight in America. In fact, there will probably always be a copious amount of it, driving our workforce to deliver billions of tons of goods right to our doorsteps. If someone you know may find interest in learning more about over the road trucking, feel free to share. A full service trucking company may be a perfect fit for them. With so much freight being shipped by air and sea these days, it’s easy to forget that trucks and trains still manage much of our cargo. We’ve all seen massive 18 wheelers and other over the road trucks hauling huge loads of cargo. Sometimes they have cylindrical storage containers for liquids or gasses, and sometimes they carry gigantic boxed shipping containers full of goods and other items. The trucking industry is not only as healthy as it’s ever been, but it’s projected to get even stronger over the next several years. Manufacturing and industry are still rapidly growing parts of our society, and as demand for those goods increases, so will the demand for vehicles and companies to move them from place to place. In the next 10 years, for example, the trucking industry is expected to grow by another five percent — an above average jump for any industry. It may also come as a surprise to you that the trucking industry is doing so well that their drivers are paid handsomely. In 2014, the average pay for truck drivers was around $40,000 per year. For a job that many would consider difficult because of the length of time spent on the road, shipping is perfect for many. There are professionals across dozens — if not more — industries that are struggling to find that level of pay. 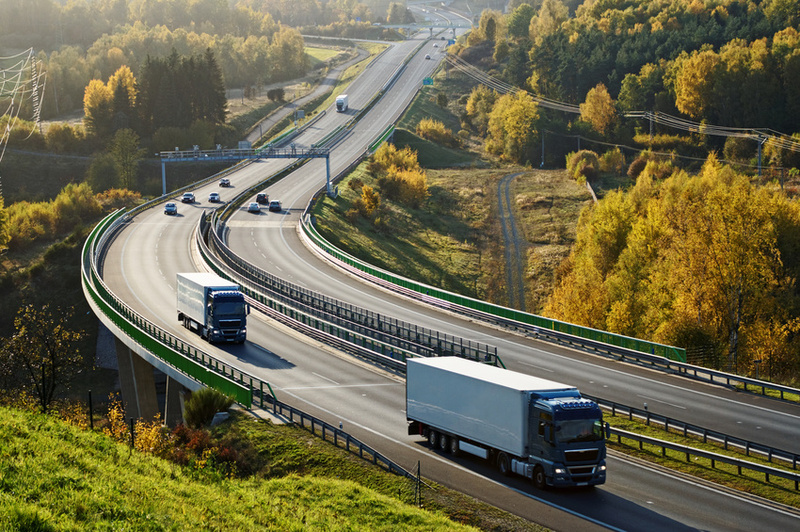 The Department of Labor has projected that truck drivers will account for nearly half, or 43%, of all the growth in jobs related to logistics in coming years. Truck driver jobs are here to stay. If you or someone you know is looking for truck driving jobs, know that the pay is good and that it very well may be perfect for your personality type. 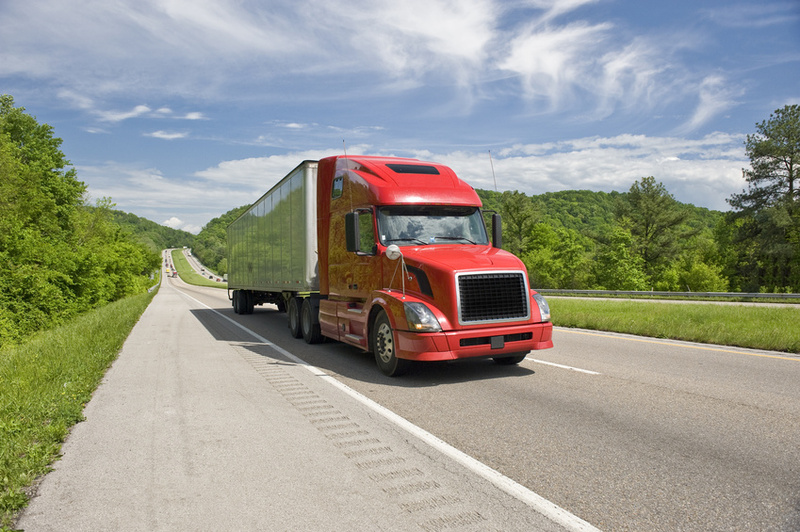 The benefits of becoming a truck driver and settling into a dedicated trucking job are many. Long trips on the road, challenging driving scenarios to keep your skills sharp as a knife and being in control of a large, powerful vehicle that provides a vital service to society might be a few. If you’d like to learn more about how to become a truck driver, it’s simple. Carriers typically recruit in the same way any other type of job would — you just need the appropriate driver’s licenses to proceed in your hunt for truck driver jobs. WELCOME TO THE NEW WJW ASSOCIATES, LTD WEBSITE! 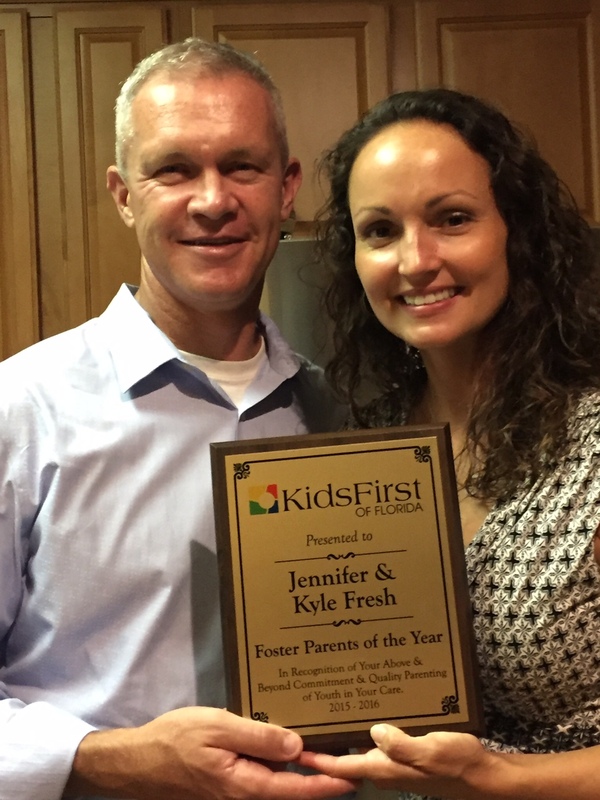 2015 has been a year of ups and downs for the WJW Family. It marked the start of the WJW Renaissance which is the title of our 2015 drive to move from a small, family run business to a more dynamic, growth oriented company that will provide greater opportunities for Associates and customers alike. WJW is investing in better training, new equipment stronger technology and improved professional development in preparation for dynamic growth driven by our people, process and technology in 2016. While 2015 is the strongest revenue year we have had to date, 2016 will be the year of our strongest growth if we are able to meet the challenging goals we have set for ourselves. 2015 also marked a sad time for the WJW family as we lost one of our principals and an emotional leader of the company. David Scott Misiuta was lost to cancer on June 9, 2015. While Dave is no longer physically with us, his spirit and the legacy of his accomplishments will continue to drive the company for years in the future. You are about to take the first step to realizing your dream of owning your own book of business. WJW will provide you with the skills, tools and support to create your own financial future. Please fill out the basic information below and upload your cover letter and resume. We will be back to you within two business days. As the company has grown, it has expanded its offerings to include dedicated equipment, freight management services, intermodal, flat, van, reefer, and specialized services. WJW brings the flexibility and dedication of a small company combined with the expertise and capability of a large one. Need Help?